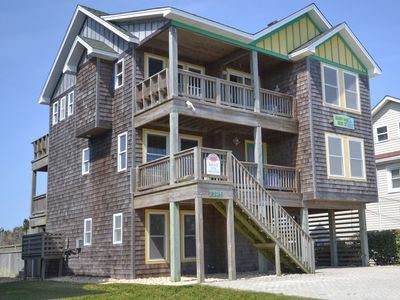 My sister and I recently purchased a true treasure in Southern Shores. 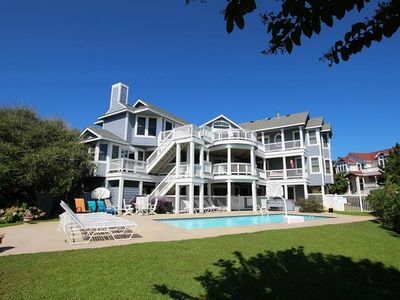 Twins Inn, a spacious 7 bedroom, 6 bath, 2 half-bath home has it all! 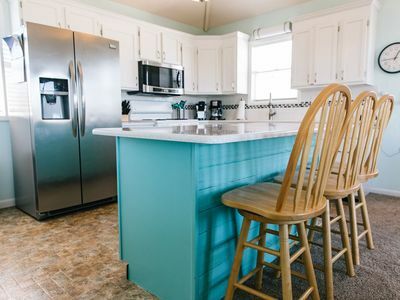 Make this your 2nd home for a week (or two) and you'll never want to leave. 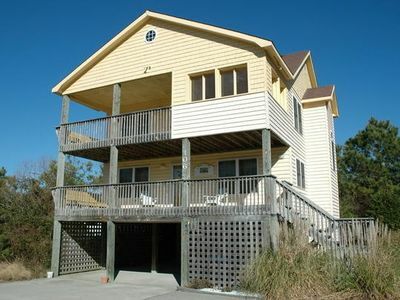 You will enjoy relaxing on one of several decks, swimming in your private pool and unwinding in the hot tub. The kids will love the play set. 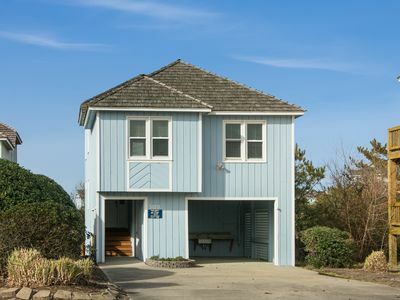 This beautiful house is close to an uncrowded beach on a quiet, dead end street. 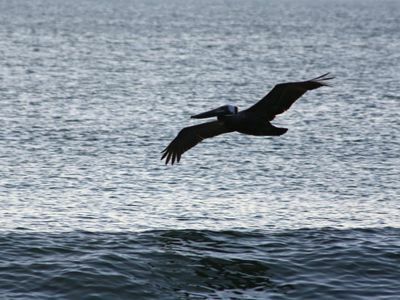 There is no road to cross to get to the ocean and you can walk to the beach in under 4 minutes. 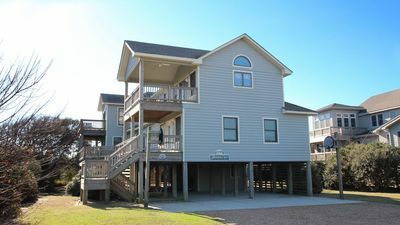 Southern Shores is a great place for a family vacation. There are community sidewalks for biking, jogging or walking. Many shops and restaurants close by. 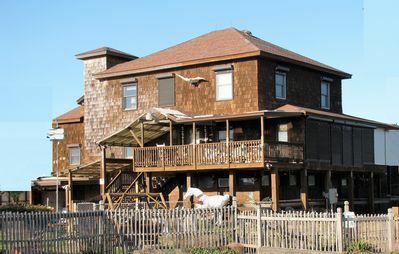 Twins Inn, at over 4,400 square feet, is the perfect setting to make family memories. 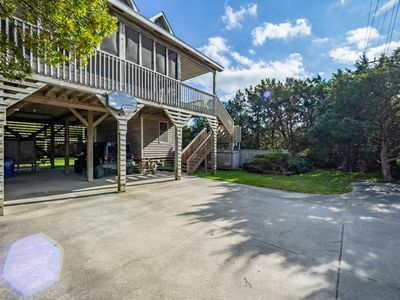 There is a huge fenced yard and the property is surrounded by trees. 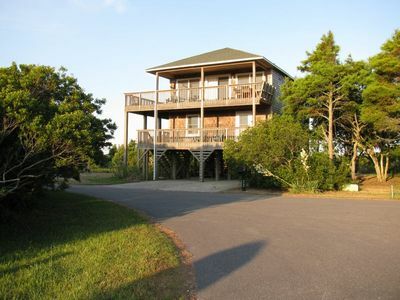 Adults will enjoy the climb up to the crow’s nest for horizon views of the ocean. 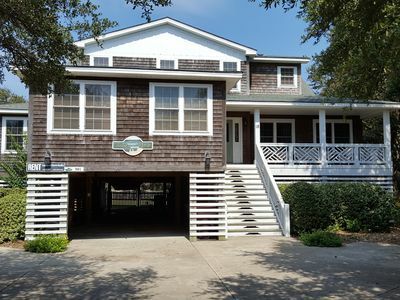 There are two living areas to enjoy—a sunroom on the second level and a huge great room with vaulted ceiling on the third level. Entry to house. Covered parking for 2-3 vehicles. 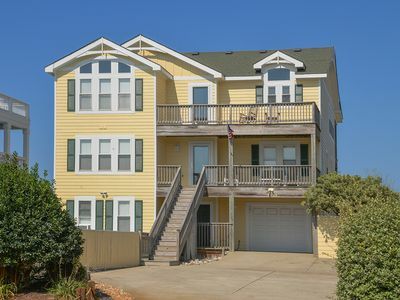 Seven bedrooms, 6 full baths, 1 half bath - (2 master bedrooms with King; master bedroom with Queen; 2 Queen bedrooms share a connecting bath; master bedroom with 2 full beds, master bedroom with 2 Twins). Sunroom/den with CATV/DVD. Washer/Dryer. 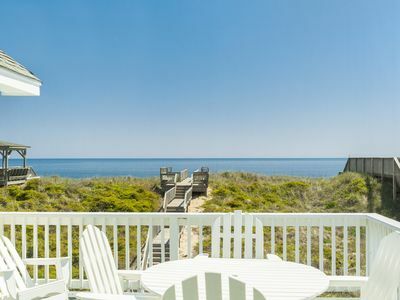 Furnished deck with rocking chairs. Huge vaulted ceiling great room with bamboo floors, CATV/DVD, stereo/CD, dining table seats 10, additional dining/game table seats 4, kitchen island with 4 bar stools, half bath, extra large kitchen with granite counters, separate pantry, 2 dishwashers, 2 refrigerators, beverage center. 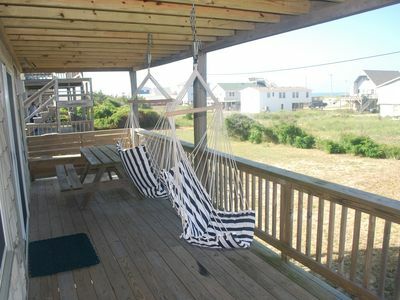 Furnished deck with dining table. 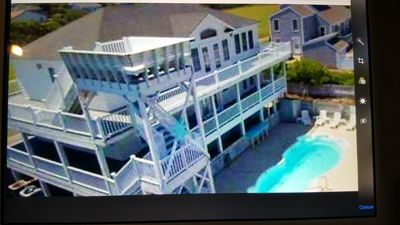 Access to rooftop deck. !! FAMILY GROUPS ONLY. WE DO NOT RENT TO STUDENTS OR GROUPS UNDER 30! 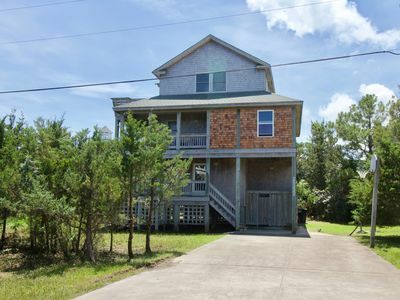 THIS HOUSE IS NOT HANDICAPPED ACCESSIBLE. The Sweet Life II - Life Is Good! 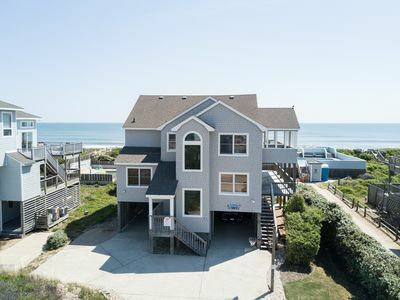 Valhalla -- Kitty Hawk Beach House with Ocean View. 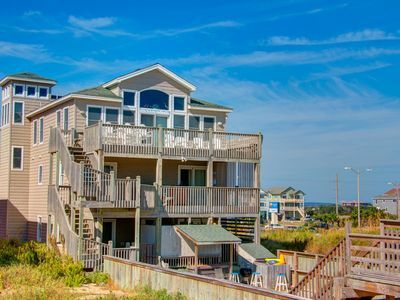 Mermaids Cove: Oceanfront condo, community pool, large balcony. 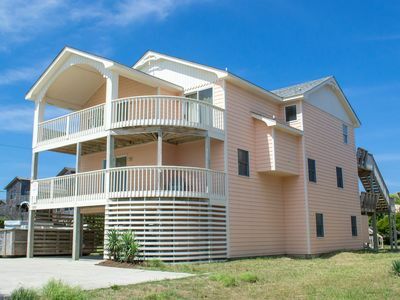 Sea Breezes South - Just Steps To The Beach! K0171 Skipper's Cove. 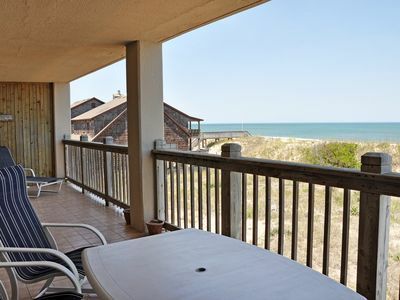 Oceanfront, Ocean Views, Dune Deck, Foosball Table! 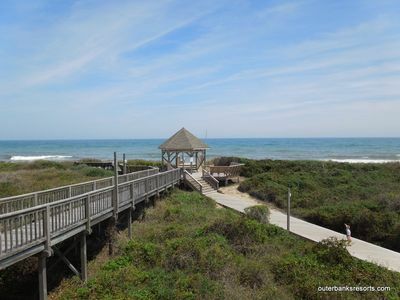 Beachy Keen: Golf community, 3 bedrooms, great community amenities with an oceanfront pool.